For another time, NetEnt has got into a business venture with Universal Pictures to develop a video slot which is based on a monster movie. This Scandinavian iGaming developer will make this video game available in all casinos they power. In this game, you will realize that NetEnt has done a lot when it comes to 3D video gaming. In the introduction video, a terrified girl is chased through darkness along cobbled streets. She does this as she tries to outrun a swarm of bats. The camera will then switch to a Dracula view point that is seen trying to close in on the prey. Through this story, it is seen that NetEnt has focused on the story to make their video slot enticing and enjoyable to everyone who plays it. If you want to enjoy Dracula, you can play it from your desktop or mobile phone. This simultaneous release is made available on BETAT Casino, Casino Cruise and No Bonus Casino. If you mobile devices have big screens, then you will enjoy the Dracula 5-reel release which comes with four rows which allows 20 symbols to appear on the screen instead of the 15 we are used to. If you wish to make the best from the high number of symbols available, NetEnt has 40 paylines which makes it easy for you to win while playing the game. In most cases, you realize that most online slot games have 15 to 25 paylines. 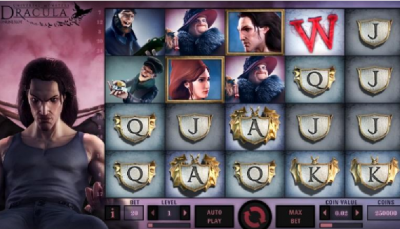 This means that Dracula slot brings in more opportunities for you to win with the game. From the story line, I mentioned about the scary bats chasing the little girl. But you can have them transform for your good and be a hero to the young girl. You will enjoy free spins, stacked wilds and stacked scatters. NetEnt has spiced up this experience by adding the Bat feature. This result in Dracula transforming into a swarm of bats that lands the reels and switches into a symbol at random. NetEnt are aware of their incredible development and this shows their continuous love for innovation and making technology serve their players better and bring them more fun. The chief product officer; Simon Hammon has considered Dracula to be another game that stands out from the rest. The new bat feature shows how NetEnt is committed to innovation. Hammon is undoubtedly the thing that the players will love with the gothic slot.